The all-new FCF Platinum series is the latest development in Webasto‘s line of marine comfort solutions. The FCF Platinum features improved design, offering a higher BTU/h rating across a variety of ambient scenarios, while still providing unmatched product reliability and a two-year warranty. 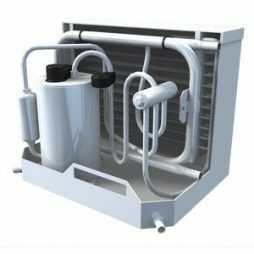 FCF Platinum units have been designed with a long and slim footprint to allow for easy replacement of existing air-conditioning units.